Are you experiencing excruciating pain in the joint of your big toe? You may have gout, a common form of arthritis caused by the buildup of uric acid crystals in your body. The crystals accumulate in organs and joints which leads to rapid damage to your tissue. Dr. Jordan Le Tran at Virginia Integrative Medical in Winchester, Virginia, offers Krystexxa transfusion treatment that removes these crystals from your body and protects and prevents further destruction. Call today or schedule an appointment within the Shenandoah valley area by using the online booking button. Gout is a form of accumulation of uric acid crystals in tissue of your bodies, especially joints that causes early arthritis. The affects of the crystal accumulation in your body is that of a water filling up you bath tub. It can affect vessels, organs, skin and most notably joint spaces. However, it typically presents as isolated joint pain, usually one joint at a time — most often the joint at the base of your big toe — causing severe pain, swelling, and redness. It’s more common in men and obese adults. There’s no cure for gout, but Dr. Tran can help you manage your gout and reduce your flare-ups, and remove the crystals through transfusion therapy. Gout occurs when you have too much uric acid in your blood, which creates urate crystals that settle in your joints and cause symptoms. Uric acid comes from purines, a substance found in food such as red meat, anchovies, and beer. Gout can only be diagnosed during a flare-up when your joint is swollen, red, warm, and painful. It is also made by joint aspiration and measuring uric acid levels in your blood. Dr. Tran may recommend diagnostic tests to determine if you have gout, such as a blood draw to check uric acid levels or a joint fluid test to check for crystallized uric acid. An X-ray of the joint may also be recommended to rule out another cause of your joint pain. Treatment for gout includes both medical and lifestyle changes to reduce your risk of a flare-up and help control pain when it occurs. Medications prescribed to reduce a gout flare-up include xanthine oxidase inhibitors such as allopurinol or febuxostat, or uricosurics such as probenecid or lesinurad. Dr. Tran also offers Krystexxa as an IV therapy to treat Gout. Click on this link to learn more! When you’re having a flare-up, Dr. Tran may recommend over-the-counter anti-inflammatories to help reduce your discomfort and symptoms. Corticosteroids are also sometimes recommended. Dr. Tran may also suggest platelet-rich plasma (PRP) injections to help reduce pain and inflammation in your joints to promote healing. PRP is rich in special proteins and growth hormones that jump-start healing and help create new, healthier tissue. While medications can help reduce your flare-ups and ease your discomfort, Dr. Tran may focus his treatment on prevention, including suggesting exercise, weight loss, and a low-purine diet. Instead, eat a healthy diet filled with more fruits, vegetables, poultry, beans, whole grains, and dairy products. 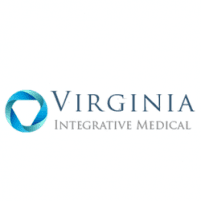 If you have gout or think you have gout, Dr. Tran at Virginia Integrative Medical can help. Call today or schedule an appointment online. Please visit https://www.krystexxa.com/ for more information.